Why Do People Choose to Recycle? Why do people recycle? The primary reason is that they care about the environment; however, there are a few other reasons. Some people recycle because they believe in leaving as small a footprint on the environment as possible. Recycling is a positive step in making less of an impression of your existence and more of a lasting effect on reducing and reusing products. People who recycle typically take a conserving approach to most things in their lives andrecognize that individuals can make a difference by sending less refuse to the local landfill. 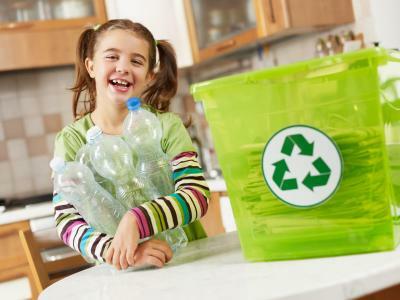 Recycling is also an economical way to save money. Looking at recycling statistics can be helpful to understand the reasons why recycling is so important. What Impact Does Recycling Have on the Environment? One of the biggest issues facing waste management is population growth. According to the EPA's report on Municipal Solid Waste Generation, Recycling, and Disposal in the United States: Facts and Figures for 2008, it's estimated that the average American generates 4.5 pounds of waste per day. This includes paper, packaging, food scraps, and even electronics. The good news is that in 2008, 1.5 pounds per person was recycled and composted. That adds up to a total of 61 million tons (not counting compost) of waste that was actually recycled. Over 22.1 million tons of waste was composted. In addition, 32 million tons was combusted in what's known as energy recovery. In 1980, less than 10 percent of the waste produced in the United States was being recycled. In 2008, approximately 250 million tons of trash was created by the United States with 35 percent being recycled. Now, consider that these statistics don't include industrial waste or construction waste, much less what's deemed as hazardous waste. Of the total waste produced in the United States, between 55 to 65 percent is residential generated waste. The remaining 35 to 45 percent is commercial refuse generated by businesses, industries, schools, hospitals, and other institutions. While these efforts are significantly higher than the 1980 statistics, this is still a long way from reaching the possible optimum percentages of recycling. 65 percent of waste is still being sent to landfills. A newer form of waste that has significant impact on the environment is what's been termed as e-Waste, which is caused by modern technology waste. To understand just how severe this problem is, you need to examine the statistics. According to the EPA report cited above, Americans generated 3.16 million tons of electronic waste in 2008. Unfortunately, only 13.6 percent of this potentially hazardous waste was recycled. Public education on the necessity to improve this recovery rate should help improve these statistics. There are many main concerns the world faces today such as fossil fuel consumption and eventual depletion to population growth and an increase in pollution and consumption of resources. As everyone should be aware by now, the deforestation of the rainforests and other forests throughout the world is having a severe and detrimental impact on the environment. Going paperless is one way to slow down this process. Recycling paper and paper products is another way to lessen the need for paper from trees. According to the EPA (Environmental Protection Agency) recovery for office paper increased by 71 percent in 2008. Lawn trimmings were up at 65 percent while metal recycling was around 35 percent. All of these efforts are significant and while vast improvement is still needed, they are positive steps toward achieving higher recycling rates. Why do people recycle? One often overlooked aspect of recycling is that the practice can drive down the overall cost of products. Second life products means less production cost associated with raw material processing. This means less expense in the manufacturing process. For example, glass bottles and other products are recycled and used to make more glass products that can include bottles. Recycled glass countertops aren't just for the environmentally conscientious but have a genuine aesthetic appeal for home decorating. Another way you can recycle is by growing your own food. At first glance, this might not seem like an obvious form of recycling. Nature is the ultimate recycler. The plants grow, produce food you and your family can eat and store. Once the vegetables and fruits have completed producing, they produce seeds that you can harvest and save for next year's crop. You can pull up the plants and toss them onto your compost heap where they'll decompose and create nutrient rich compost for your garden. This is a continuous process of recycling. This may seem like a lot of work. but it's very rewarding. You can control what goes into the production of your family's food and know it's pesticide free. You can then take the waste from your meals and return it to your garden through composting. This is the most efficient way to supply your family with food and is a proven environmentally friendly way to recycle food. Most families in America do basic recycling by separating plastics and aluminum cans from their other curbside trash pick up. Consider adding a compost bucket in your kitchen to enrich your flower beds or organic garden. You may want to consider installing a rain collection barrel to help with watering your plants and garden. Go a step further and process the grey water from your sinks, showers and tubs to reduce the need for water resources for your shrubbery. To take advantage of rain, you may choose to install a cistern for rain collection. Making choices and taking the time to add the necessary steps into your daily routine can change your status of being just a consumer to one that recycles at every opportunity you get.